Just recently, Mazda announced that production of the all new Mazda6 has officially started and the sedan version was showcased at the recent Moscow Auto Show. Mazda intends to debut the car at the upcoming Paris Motor Show later this month. But before Mazda does that, the Japanese automaker has unveiled the car ahead of its scheduled debut. 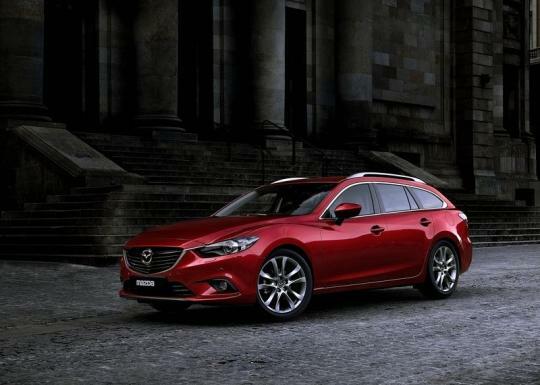 Mazda Motor Corporation will hold the world premiere of the all new Mazda6 wagon (known as the Atenza in Japan) at the 2012 Paris Motor Show and the sedan version will be exhibited alongside it. Both models displayed at the Paris Motor Show will feature Mazda's new Skyactiv-D 2.2 clean diesel engine. 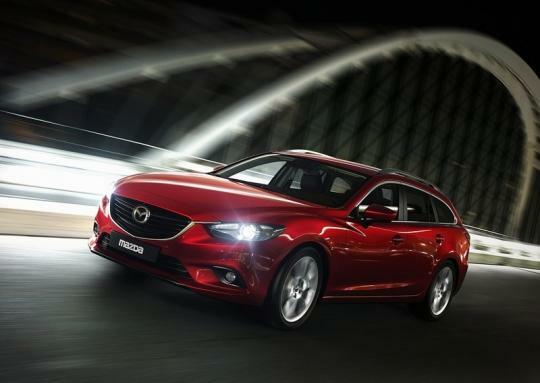 The Skyactiv-D 2.2-litre diesel engine is available in either Standard Power or High Power versions. Both engine types comply with Europe's Euro 6 emissions standards. Additionally, the new Mazda6 will also be available with the Skyactiv-G 2.0 and Skyactiv-G 2.5 direct injection gasoline engines. The 2.0 litre engine makes 134bhp and 210Nm of torque and the 2.5-litre engine delivers 189bhp and 256Nm of torque. 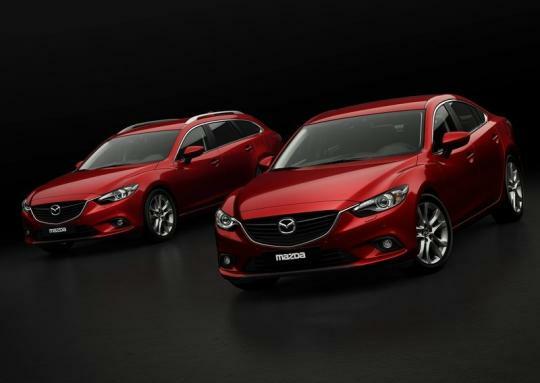 The new Mazda6 is the flagship model for a new generation of Mazda products and is the second of Mazda's new generation of vehicles which incorporate both the full range of Skyactiv technologies and the new Kodo �Soul of Motion design theme. The new Mazda6 features a range of advanced safety technologies and Mazda's unique brake energy regeneration system, i-ELOOP.